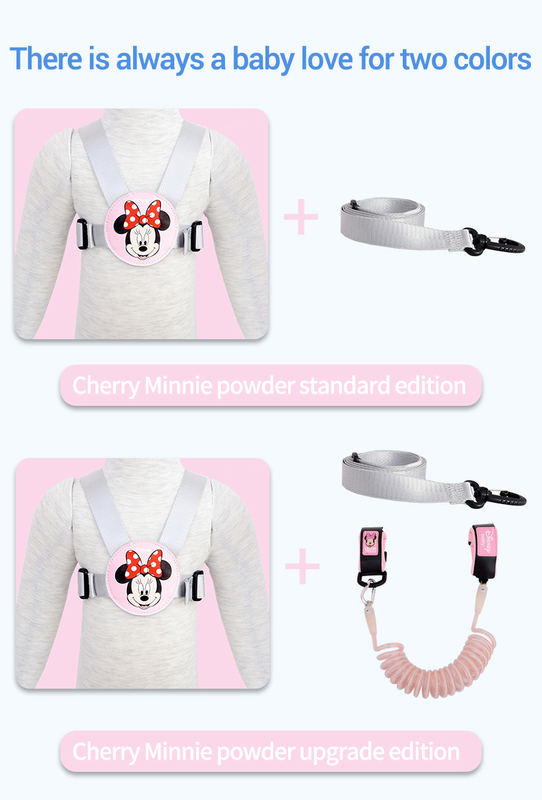 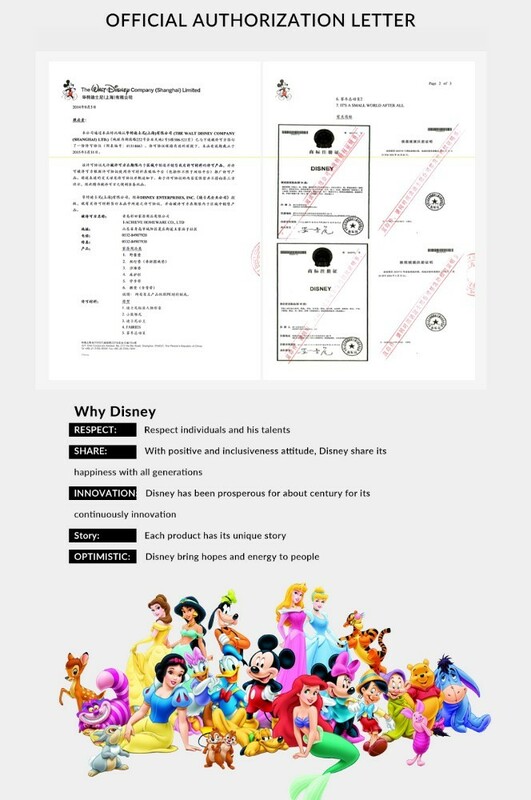 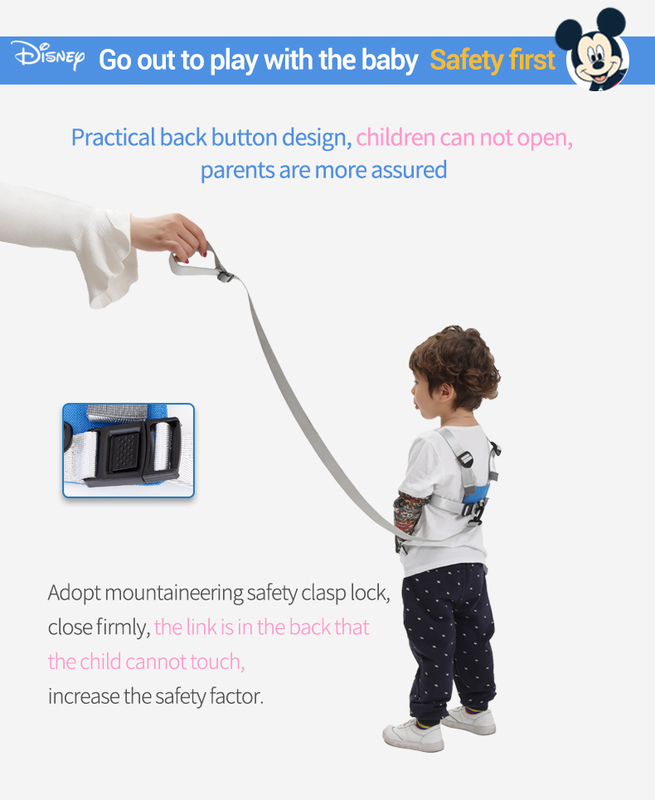 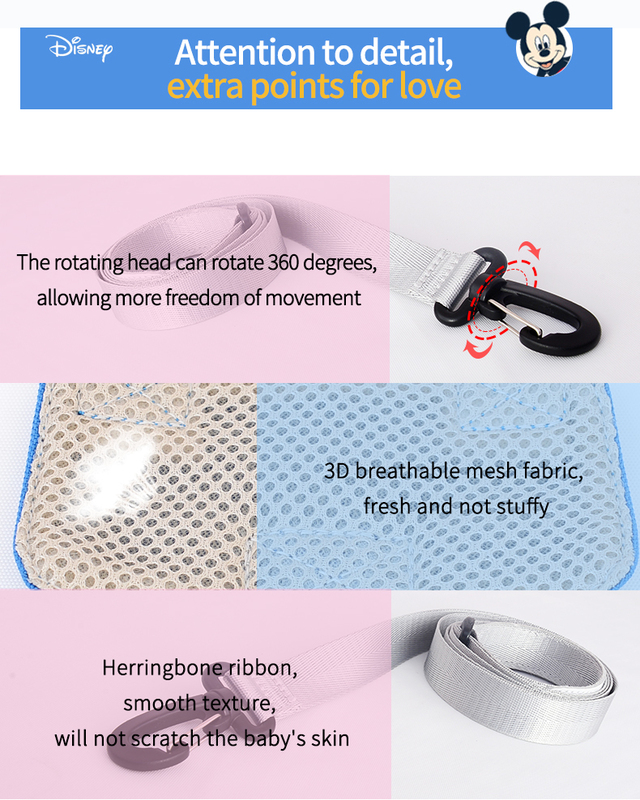 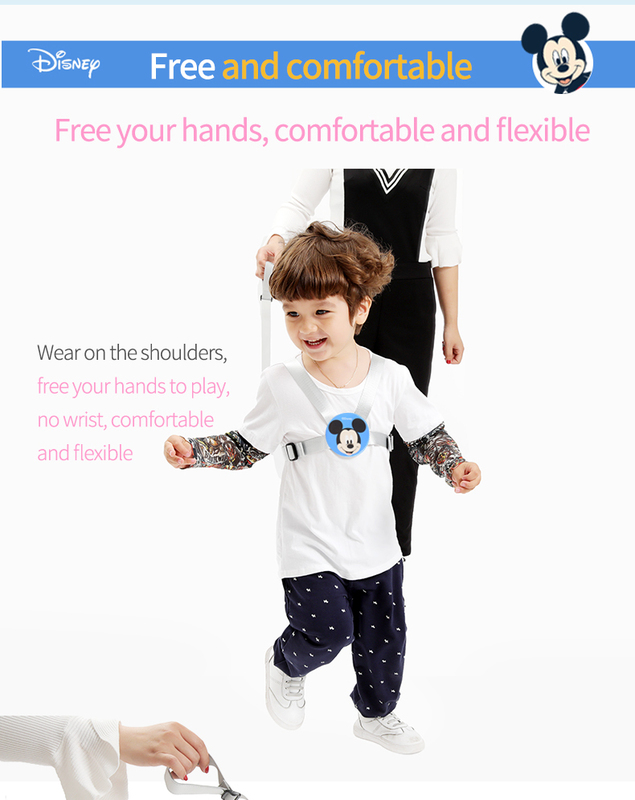 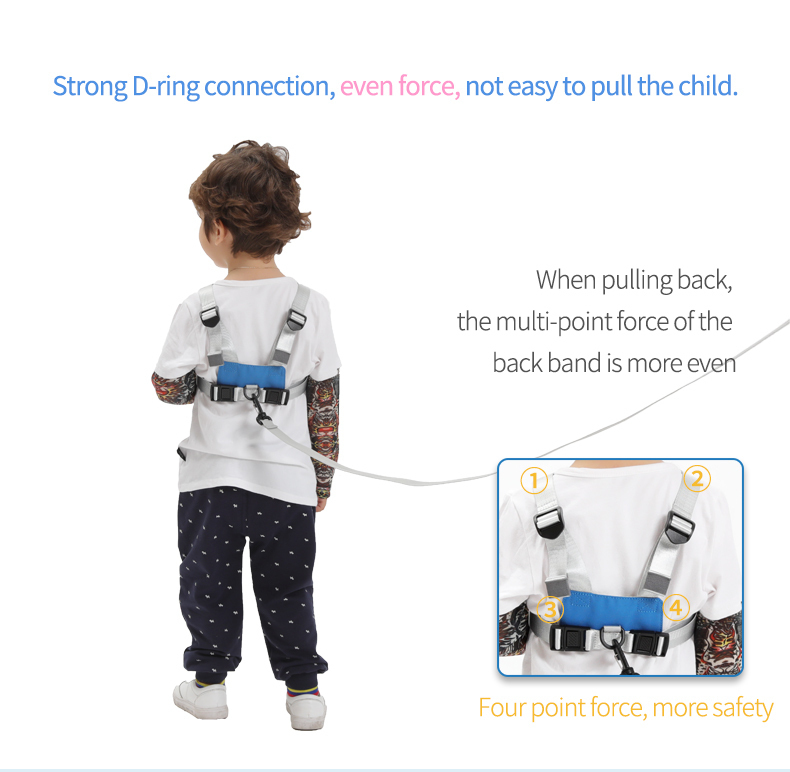 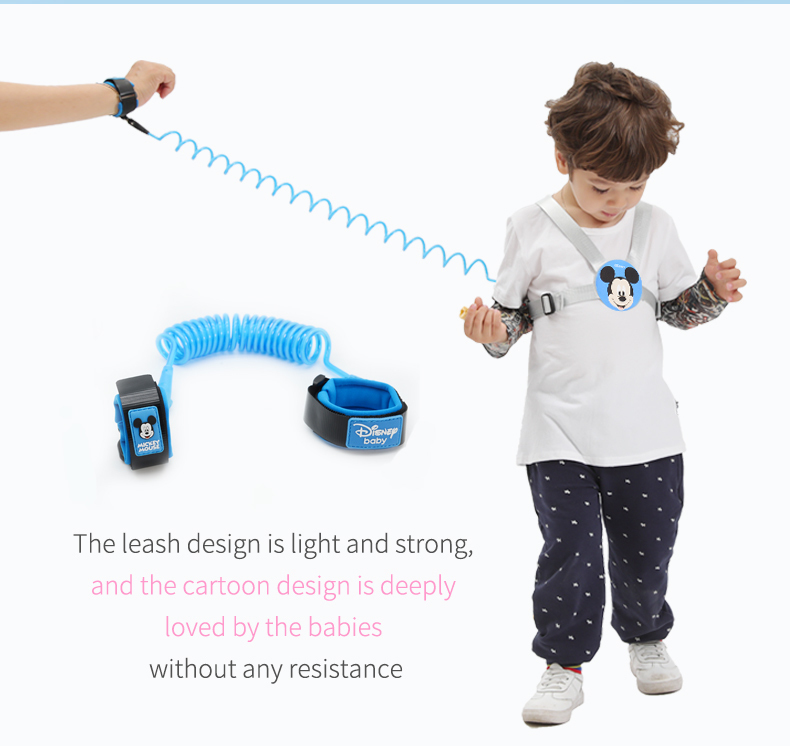 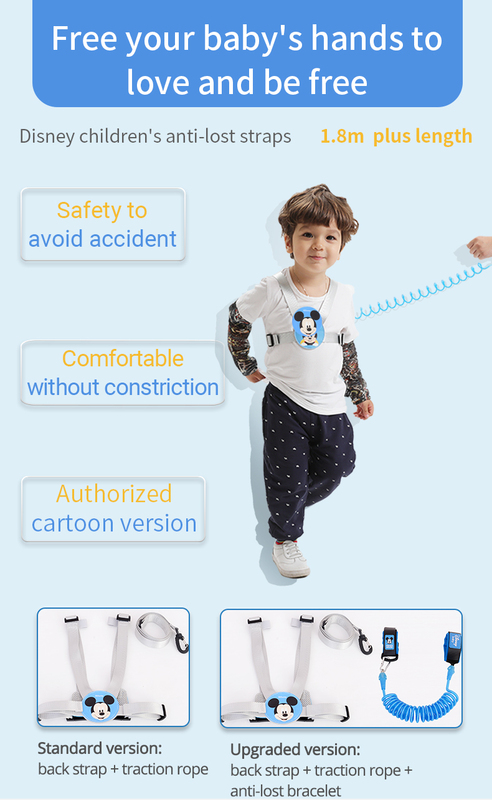 Adopt mountaineering safety clasp lock, close firmly, the link is in the back that the child cannot touch, increase the safety factor. 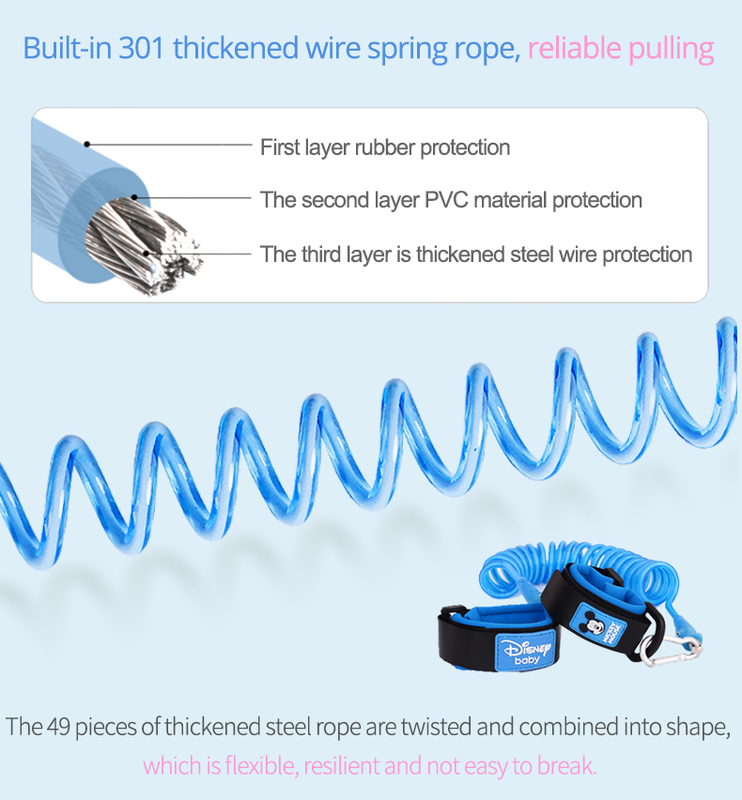 The 49 pieces of thickened steel rope are twisted and combined into shape, which is flexible, resilient and not easy to break. 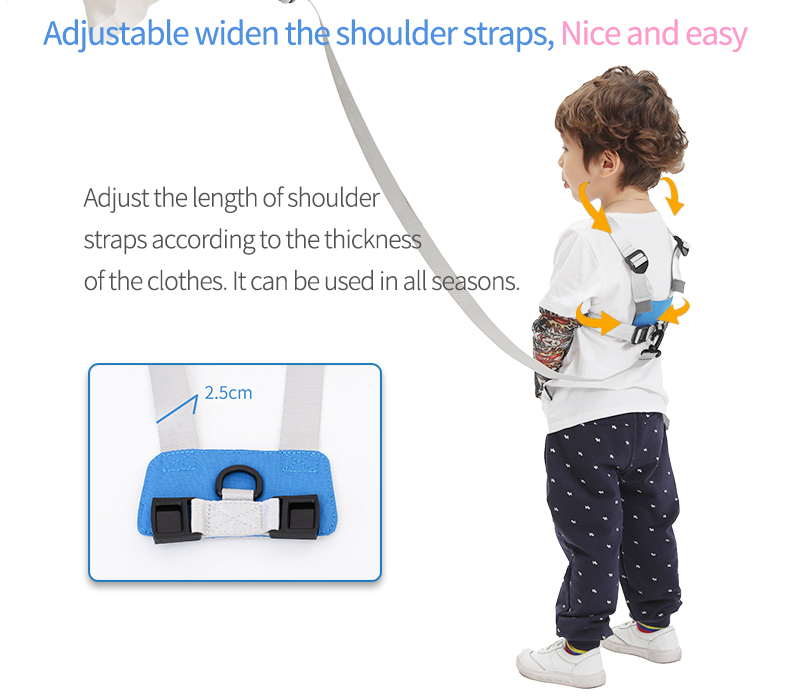 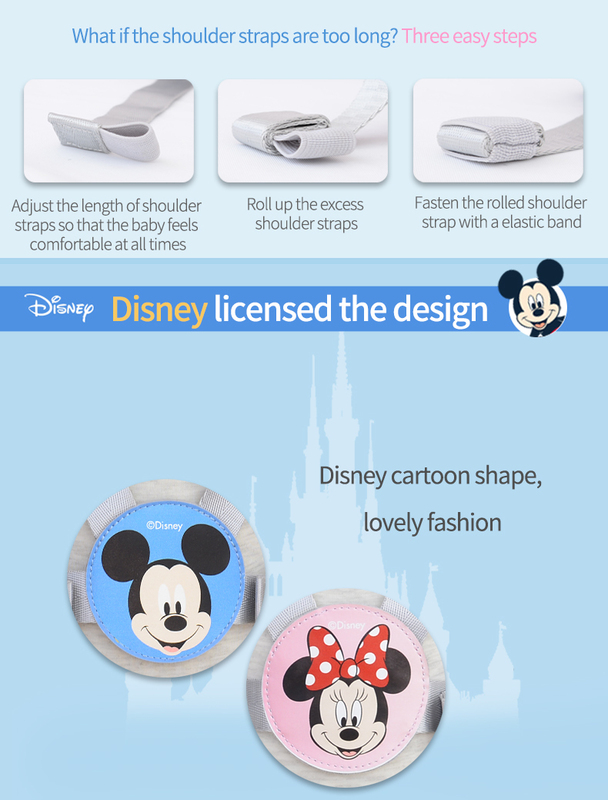 Adjust the length of shoulder straps according to the thickness of the clothes. 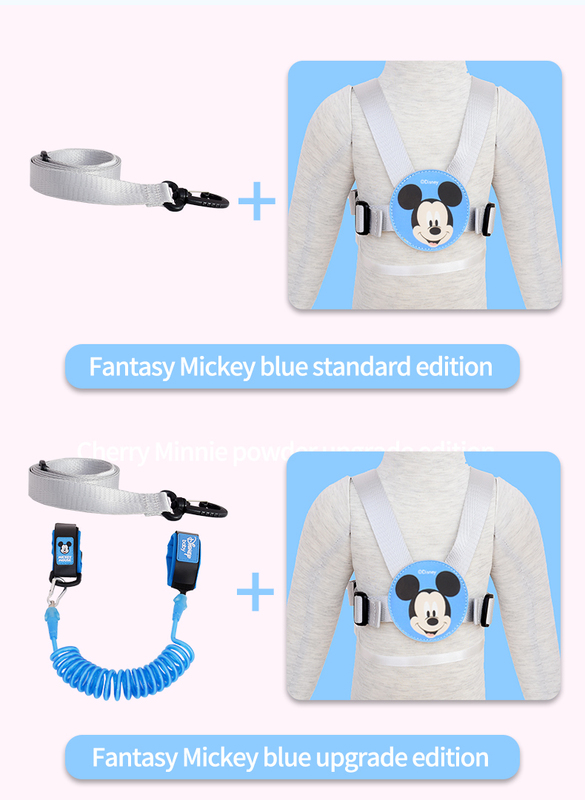 It can be used in all seasons.